The Ministry of Home Affairs is reminding commercial and recreational fishers, that fishing in the Seasonally Protected Areas — also known as the “Hind Grounds” and “Grouper Grounds” — will be prohibited from 15 April to 14 August 2018 in order to protect spawning Red Hinds and Black Groupers. 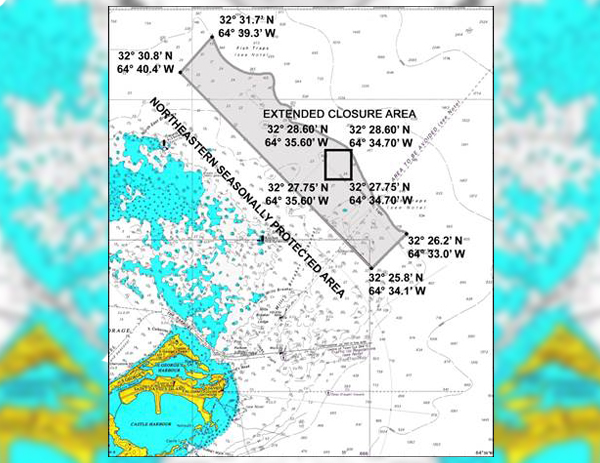 “It should also be noted that once the Seasonally Protected Areas open on 15 August 2018, the extended closure areas around important Black Grouper aggregations will remain closed to fishing until December 1, 2018,” the Ministry said. “The Fisheries legislation was amended last year, following consultations with stakeholders, to move the closure and opening dates for the Seasonally Protected Areas forward by two weeks to 15 April and 15 August respectively and extend further protection to the Black Grouper aggregations through 30 November. “In recent years, there appears to have been a shift in when Red Hind first aggregate for the season, and large catches of Red Hind were taken from the “Hind Grounds” in April 2016, and also in April 2014. “Technical officers of the Department of Environment and Natural Resources think that Red Hind are gathering to spawn earlier in some years because of increased sea water temperatures. “The exact boundaries of the Seasonally Protected Areas are shown in the two accompanying maps, which also include the GPS co-ordinates for the four corners of each area. 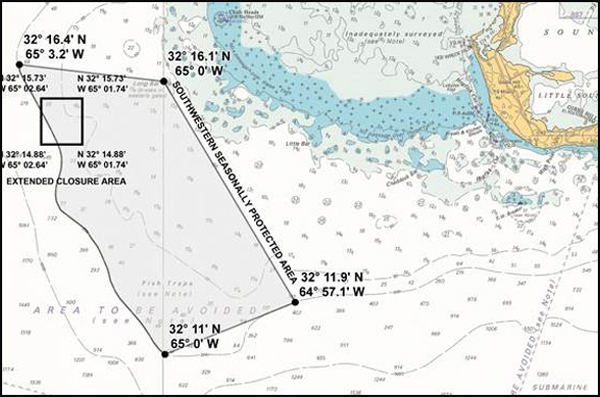 “Fishers are reminded that Marine Resources officers are conducting tagging studies on Red Hind and Black Grouper to better understand their movements around the Bermuda Platform, particularly at spawning aggregations sites. “All fishers are encouraged to contact the Marine Resources Section at 293-5600 or fisheries@gov.bm if you catch a tagged Red Hind or Black Grouper. when the restaurants are serving up red hind sandwiches – you can say that once again, the marine fisheries resource officers have got it wrong again as the hinds have aggregated earlier and the fishermen have put de hurt on them. when are they going to hire a fisherman or fishermen on a part time basis to drop pots to measure the aggregation (in a boat large enough to monitor the pots overnght with adequate radar etc and a chase boat, drone, night vision cam) so that they can get the window corect? In addition to closing areas off (perhaps too late this time) we need to crack down on unlicensed fishermen blatantly selling fish in public and taking over public docks.